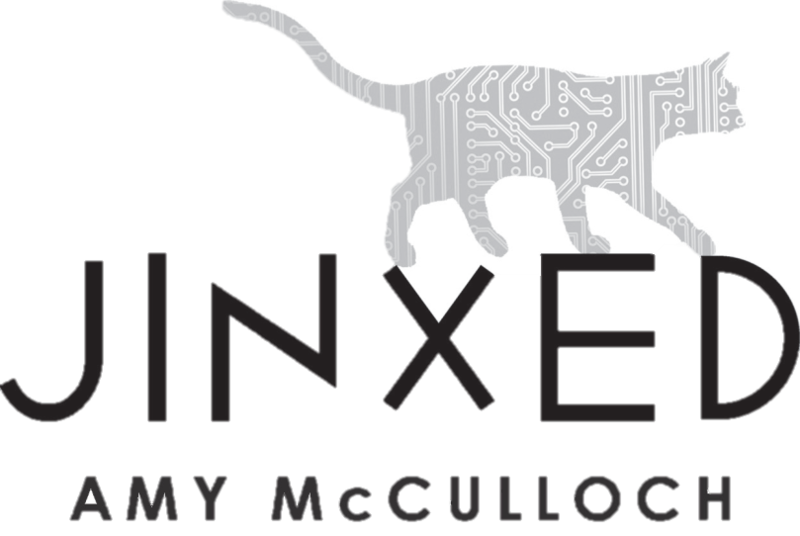 Then Lacey meets Jinx... Jinx is an incredibly advanced cat baku who opens up a world that Lacey never knew existed, including entry into the hallowed halls of Profectus. But what is Jinx, really? His abilities far surpass anything written into his coded. He seems to be more than just a robotic pet. 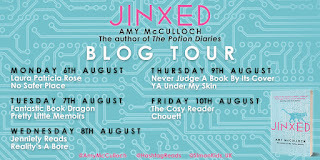 This is my favourite Amy McCulloch book yet! 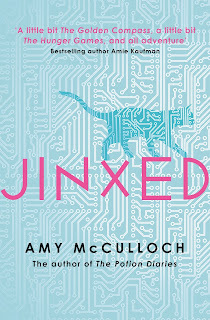 Jinxed is a fast-paced, inventive read with fantastic world building. 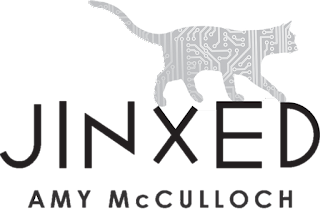 I'm a huge fan of books about girls in STEM and Jinxed took it a step further by having the main character, Lacey, look up to Monica Chan, a female CEO. Lacey is a brilliant main character who is smart, resourceful and relatable. The world of this book was also vividly realised. I loved the idea of bakus and what it said about this society that a person's worth was measured by the baku they could afford. The elite academy setting is also a favourite of mine and Profectus was a fantastic backdrop for the story. Another thing that really sets this book apart is the creativity of the technology. It's such a clever idea to combine the idea of a companion, similar to a daemon in His Dark Materials, with modern developments. The idea of artificial intelligence and what makes something 'alive' was definitely thought-provoking (and I hope some tech company reads it and finds a way to invent bakus). 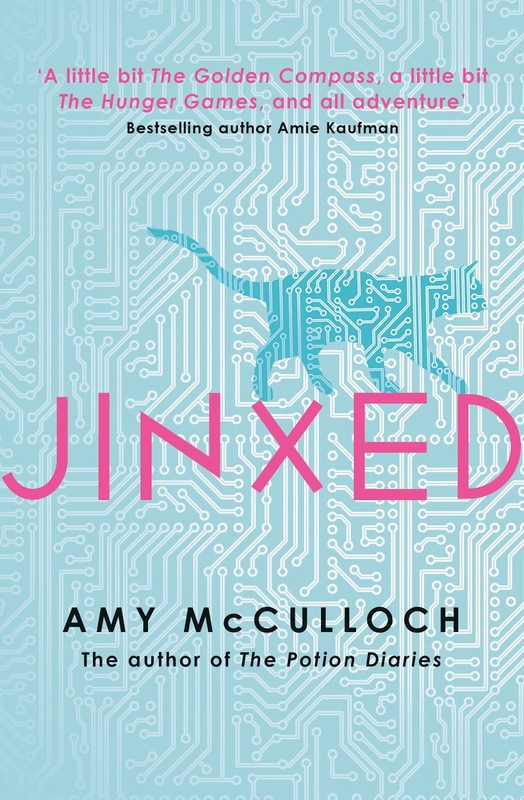 Jinxed is an exciting start to the series and I'd love to see more YA books about tech. 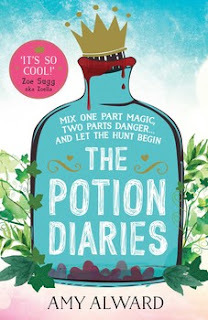 While I wait for the sequel, I think I'll finally read the Potion Diaries books, as I've heard amazing things about them too. 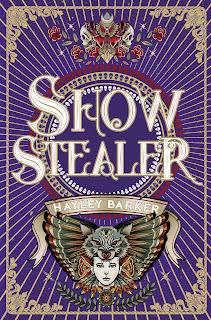 Thank you so much to Simon & Schuster Children's UK for the gorgeous limited edition proof! 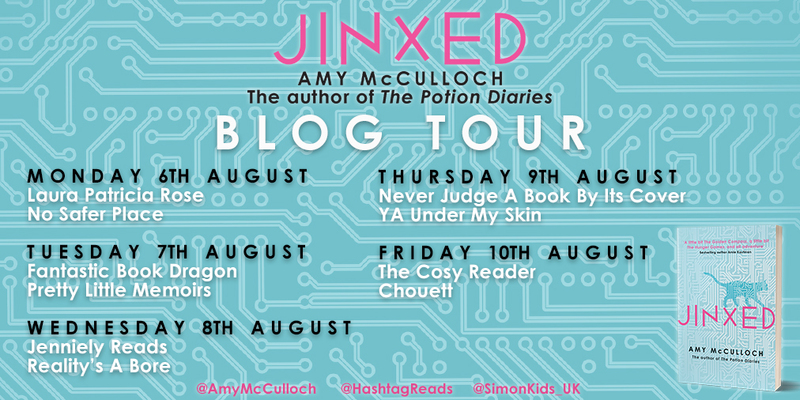 If you would like to read an extract from Jinxed, you can check out my blog tour post here. Please note that the giveaway has now ended. 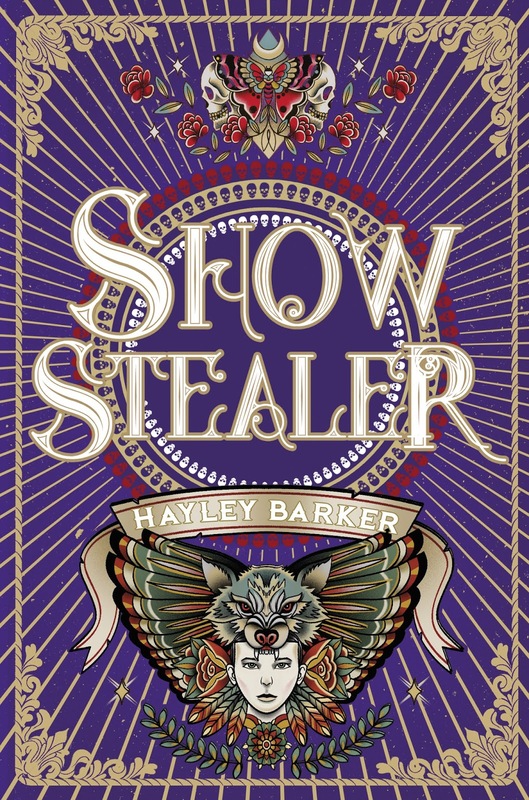 I'm so pleased to share a guest blog from Hayley Barker as part of the Show Stealer blog tour. I've heard amazing things about this series so I think this might be the perfect time to start reading. 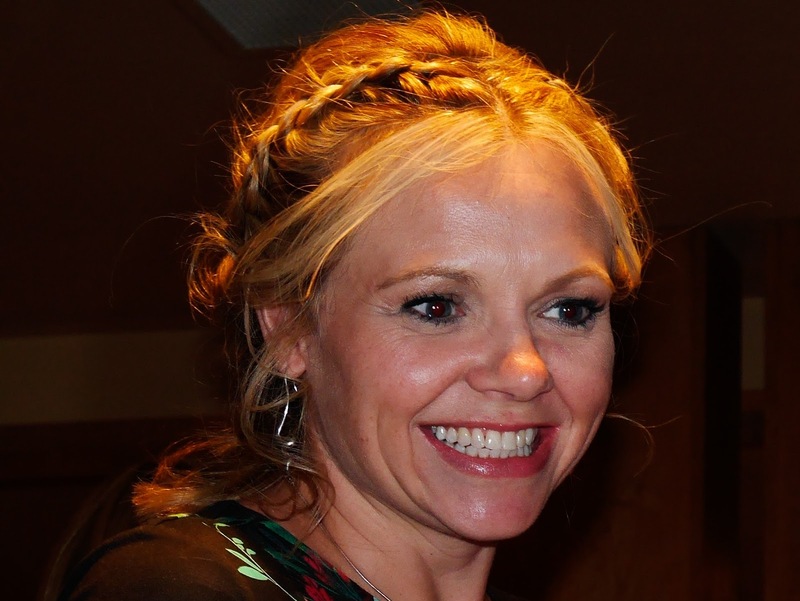 Today, Hayley has some tips to share with aspiring writers. Since I'm about to embark on the terrifying world of querying agents, this post has come at the perfect time. I still feel a bit ridiculous when anyone asks me what I do for a living and I self-consciously mumble that I’m an author. It’s not because I’m embarrassed about it –it’s the opposite. It’s the dream job, for me at least, and it seems as incredible that I should be describing it as my profession as it would if somebody was to tell casually me they were a rock star, or a Hollywood film producer or a bank robber. Still, it happens to people and it’s happened to me--something I will forever feel blessed for. I’m not, as so many hilarious people often quip, about to become “the next JK Rowling,” but I do write for a living and my books are in shops and it’s more than I ever really thought possible. So how the heck did it happen? Well, it was through hard work and a lot of luck. I’m a firm believer, though, in the old adage that you make your own luck. I took some steps and did some things that made all the difference for me – turning me from a girl who loved books into a woman who wrote them and here, for what it’s worth, are my five top tips for anyone who may be hoping to do the same. 2. Revise, revise, revise. Once you’ve finished the first draft, leave it alone for at least a month. When you do go back to it, be ruthless with yourself. You can’t afford to be too sentimental or precious: chop out whole scenes--whole characters even-- if you know in your heart that they aren’t strong enough. Tweak and polish and refine until you’re happy, and then do it again…and again…and again. Until you find yourself an agent and a publisher, you need to be your own editor. Look at the big picture first and, once you’ve got that right, you can start to massage the finer details. Don’t even think about sending that manuscript off to anyone until you know that it’s the very, very best thing you’ve ever written and it can’t get any better. That’s not true, of course–you’ll end up transforming it all over again when you get your book deal--but that’s another story. 3. Go to a writer’s festival. I went to the Winchester one and, I can honestly say, it changed my life. There are lots of wonderful things about the experience, but the best of all is that you get to make 1-1 appointments with publishers and agents. They’ll look at your work in advance and they’ll talk to you about it and offer you their invaluable advice. Even if they don’t want to represent you, they’ll tell you if you’re going along the right lines and make suggestions as to what you need to do to move things along to the next step. Listen to what they say: It’s bloody scary, but it’s necessary and if most, or all, of them say the same thing about your work, it’s probably true. Plus, you’ll get to meet lots of other people there who have the same passion as you, and that leads me on to point four…. 4. Find your people. Maybe, amongst your friends and family, you sometimes feel a bit of an anomaly. Maybe you’re the only one of who you who has this strange compulsion to write; the only one who dreams with a pen in their hand. You aren’t an anomaly though, and you aren’t alone, not if you don’t want to be. Going to writers’ festivals, joining local groups or connecting with the army of writers on Twitter and Instagram will help you find your tribe. People who know what rejection feels like because they’re going through it themselves maybe, or, more positively, have come out of the other side: who’ve been on a journey a bit like yours and who will help to guide you along the path if they can, or maybe just hold your hand through the tricky part if they can’t. 5. Be resilient. Just like Robert the Bruce’s spider, try, try and try again. Nobody said this would be easy and nobody said it would be without heartbreak. It’s worth it though, I promise you, and it’s yours if you don’t give up. Listen to feedback, even if it’s not always positive, and look at your work gain. Take every rejection, and there are bound to be some, maybe even many, and let it make you stronger. You’ll get there, I know you will. Thanks so much for sharing your tips Hayley, and thank you to Scholastic for inviting me to join this blog tour! If you'd like to follow the other stops on the tour, you can check them out below. It's 1997 and Sam is supposed to be going into Year Twelve, Year Twelve, listening to Jeff Buckley far too loud and staying out skating with his friends until late. But instead, after the death of his mother, he finds himself moving from Sydney to the coast to live with estranged cousins Minty and Shane. Confused, alone and grieving, Sam starts surfing with Minty to ease the static in his head. But out of the water, he finds hostility and suspicion practically vibrating from every corner. What exactly happened seven years ago that tore such a rift in the family? In the face of hostility and loss, Sam is able to escape in the water – and even in love. Will he find a way through? Will he sink or swim? This book represented a lot of firsts for me. Although I love surfing, I've never read a book about it. It's also my first Australian YA book and is about grief, a subject matter I sometimes avoid. I think the treatment of grief is one reason why I enjoyed this book so much. Sometimes, I find books about the grieving process too difficult to read, but this handled the subject with an incredible degree of sensitivity and realism. It also felt uplifting and I took the message from it that grief is only one part of you, and that it's possible to grieve and have hope. The setting was also beautifully described, as evidenced by how much I want to visit Australia now. It also captured the sensations of surfing using sensory, visceral descriptions. I really liked these characters and felt that the writing revealed their qualities and backstories in a gradual way that kept my interest. The question about Sam's family history also added another level of intrigue. This book has made me more open to reading books about difficult subject matters, if they're given as much empathetic treatment as they are in this case. One Would Think the Deep is an incredibly written, evocative book that engaged a whole range of my emotions. Thank you so much to Raven Books for asking me to review One Would Think the Deep. I'll definitely seek out more books from your imprint and from Australian authors. The amazing people at Raven Books have given me an extra copy to give away. Head over to my Twitter account (@yaundermyskin) or comment below to enter. The giveaway is open internationally and ends on 22nd August at 8am GMT. Good luck! I'm thrilled to feature a guest post from Demet at 'Books polished' about her amazing nail art designs inspired by book covers. Today, Demet will take us through how she created stunning nail art based on the cover for A Sky Painted Gold, one of my favourite books. Thank you so much Demet for sharing your nail art secrets! This is my workplace. It's a mess, but it's mine. I usually have either an audiobook running or, as in this case, a Netflix show. If you are wondering what I'm watching here, it's the second season of "Anne with an E" and spoiler: it is gooood! 1. I always start with blank nails and a coat of base coat. If you want your nail polish to last, this stop is vital. And before you ask: Yes, these are my natural nails. Yes, they are a bit yellow because I paint them so often. No, they do not hinder me in any daily activity. 2. Next step is putting down the base colour. this picture is to show you: I can't either. 3. But since I know how to clean them up, I don't even care. long way! If you don't have a brush, a Q-tip also works well. not stay up too late, 'just' to paint my nails. But also because some of the base colours require several coats of polish and this way get a better chance to dry. In this case, I also broke the nail on my pointer finger and had to file it down and re-paint... Screw you big Elvis book which I was trying to get off the shelf! 5. Most of the design for this mani consists of dots. 6. Dots over dots over dots. colour again and clear the design up a bit. 8. Next to a base coat, the other vital thing to make a manicure last? Top Coat! And I always say, especially with a more complicated mani: top coat as you go! 9. Next up is the figure of a girl standing in the water. As this is the most complex part of this mani, I wanted to get her out of the way. First: I did a rough sketch of the figure in gold. 10. Then I painted in the top of her dress again in dark blue, to give her a sharper outline. 11. Next, I went back to the hair, switching between blue and gold, trying to get the shading right and to give the hair more volume. 13. Top Coat. And another nail done. 14. Now that she is out of the way, we are going back to painting dots. 15. And even more dots. 16. Basically, aaaall the dots. Even in different sizes! 17. In between and at the end, I switch between the gold and the dark blue to clean the design up a bit. To make some dots more round and to let others who ended up in the wrong spot, vanish completely. no one will appreciate them except for me. But Hey! I'm the one who sees them all the time, so that is just fair. doing more and more changes and just call it a night. But that's the case for so many things in life. then also clean the brush with Acetone. This is how my fingers look, after something like this. Even though I have to say, I cleaned them in between, so this is not all. Note: If you do use Acetone to clean your skin, please remember to put lotion on them after or even nail oil.It dries your skin really badly! 20. All the utensils I used for this design! That is: 100% Acetone, a stamper that I use as a pallet (because it's cheap and easy to clean), gold and dark blue nail polish, quick dry top coat, base coat and nail polish remover pads to clean the stamper. And in the front, you can see my clean-up brush with my detail brush behind it. I'm fascinated by the amount of effort and skill that goes into this process! Thanks again for sharing, Demet. Check out Demet's Instagram here for the stunning finished product. You can also find Demet on Twitter @books_polished.